In my spare time I have made a set of four different mythological creatures with a Gothic tattoo art style. These are as follows Dragon, Leviathan, Minotaur and Unicorn. 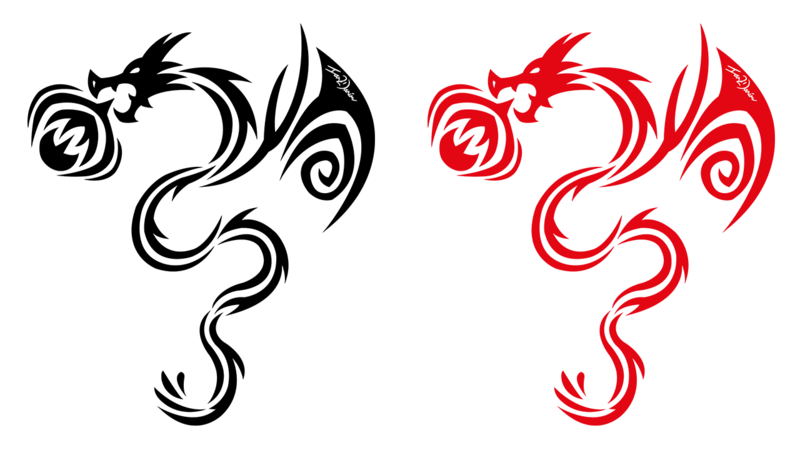 Here is an example of my Gothic Dragon design and in two different colour schemes. Check out the rest of the designs by going through the digital gallery section. All the designs will be added to my online stores. 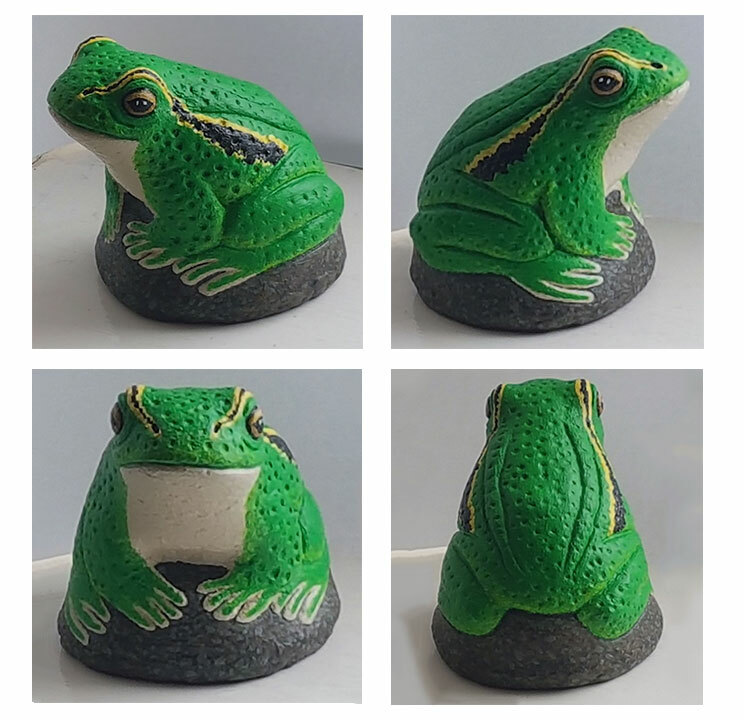 So for the past nine days in my spare time across many evenings I have been working on repainting an old frog ornament using acrylic paints. I mainly did this for fun and it also needed a facelift anyways. So here is a comparison image to show what it originally looked like, the undercoat and finally the end result. In the second image shows the end result from four different angles. So for some time I have been thinking that I really need to update my pre-existing logo with a new design. I decided to revamp the previous logo with a new simpler design, plus I was able to reduce the number of individual shapes down to five only. The logo is now facing a three-quarter view and it uses a similar colour scheme from the previous design too. This will also make it easier to animate too. My other name (Ian2Danim) is still present but I made it more bigger so it is easier to see. 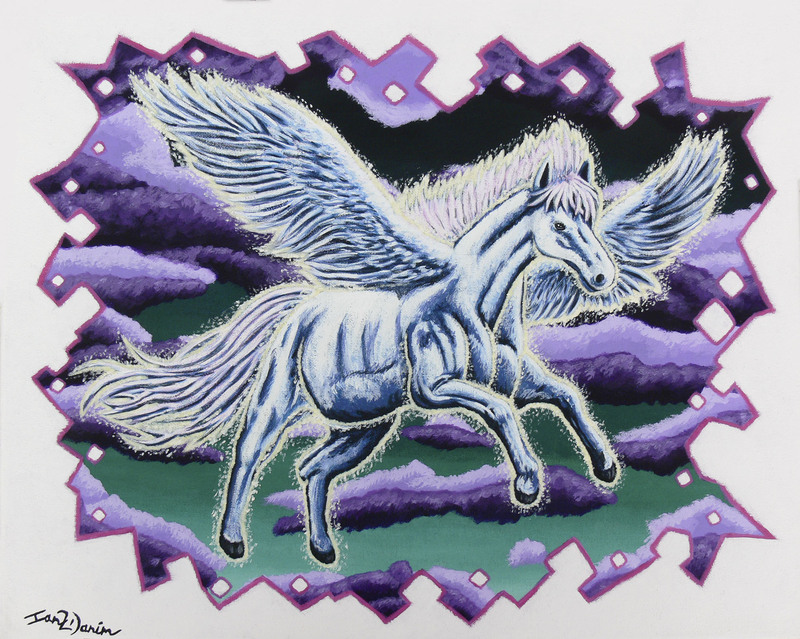 My recent fantasy art acrylic painting of a Pegasus, I done this as a birthday present for my brothers girlfriend. 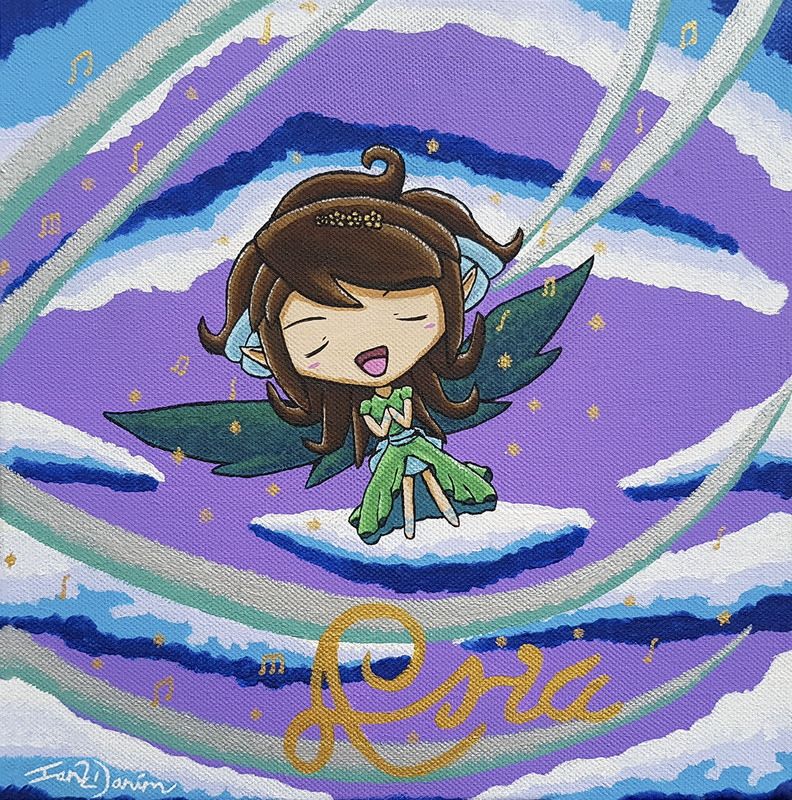 I also done another acrylic painting before Christmas last year and it is of a chibi fairy named Aria. She is based on my brothers and his girlfriend baby girl who is also named Aria too. Originally I done this as a Christmas present my brothers girlfriend.